WHAT IS A TECH PACK, WHY DO YOU NEED IT, AND WHY IS IT IMPORTANT? A builder would never build a house without a blueprint, it is exactly the same thing for a garment. The manufacturers need to know what you have in mind, what the garment looks like front and back incl details, what materials you have in mind, what trims you want on your garment, and what type of fit it should have. The tech pack is the most important document in your product development process, and needed in all areas of bringing your brand to the market. The patterns are made based on the tech pack, the sourcing is done depending on what materials and trims you want and the price calculation is based on the sketch of your garment. The sketches can later be used in your line sheet and workbook. When the manufacturers have your tech pack they will product develop without having to talk to you and ask you about details every time they are wondering something. All the information will be there visible for them to do their job. Depending on where you have your production/factory, most of the times the people on the factory floor don’t speak English and the sketches need to be correct and very clear. Think about a tech pack like this: From the moment you hand over the tech pack, it should be clear enough that you don’t have to explain or instruct anything else. All the information needed for that specific garment should be clear and visible on the tech pack. The efficiency and productivity will be higher and you will have fewer misinterpretations along the way. The more details you put in the tech pack the better information you give the manufacturer. This limits the number of errors in your products and in the end, this will save you money and time. Most of the times a tech pack is made in Adobe Illustrator. This document is later saved in a smaller PDF size, that can’t be edited, and sent to the pattern makers and factories. 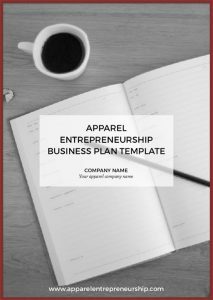 There are templates you can buy and use as a base, so you don’t have to start from scratch every time you design a new garment. If you want to be in full control of your product, learn the program and make your own sketches and tech packs. This will give you the flexibility to make exactly what you have intended and you’re not dependent on anyone else. As with everything, there are good and bad tech packs. The better yours are, the more accurate protos you will get. The document should consist of several pages. 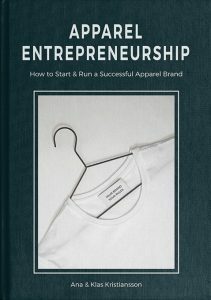 The number of pages depends on the complexity of your garment. A basic T-shirt tech pack may only have 4 pages, but a complicated jacket 12 or more. Preferably the tech pack in Illustrator is divided into different layers. One for the main information, one for sketches, one for colors and one for text. This will make your life easier when copying and pasting info on different pages. Learn the details of how to create a tech pack in the E-Book or in the Member Zone. The aim is to arrive at your intended garment as soon as possible, with as few prototypes as possible. The “normal” procedure is to have 2 prototypes and one salesman sample before the bulk production. After showing the salesman samples to buyers you will probably want to see a size set and a pre-production sample to make sure everything is as intended. This is not mandatory, but if you want to have full control and make sure you get what you have ordered, it’s a clever thing to do. When in doubt on how much info is needed, a lot is better than too little. Your tech packs and the information within will be a big part of your brand/branding. If you have sloppy and ugly sketches, text errors and lack of information, this will have a negative effect on your business. Download Tech Pack Templates in the Member Zone!